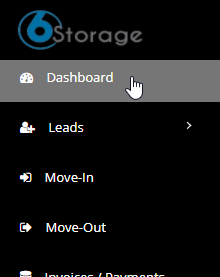 Once you Sign-in to your Unique 6Storage account the first page that appears on the screen is the Dashboard of the entire software. This educates you with a quick overview with what's happening in the Storage till date in terms of Reservation, Occupancy, Payments and Overdue Tenants. The Leads are nothing but your Unit Reservation from any source like the website, phone call, email or even a walk-in. This allows you to keep a track of all your reservation under FCFS order. The Pie chart allows you to have a quick view on the number of reservations and the table below displays reservations that happened Today, Yesterday and in the past 7 days. Units basically hold information regarding your current occupancy rate. 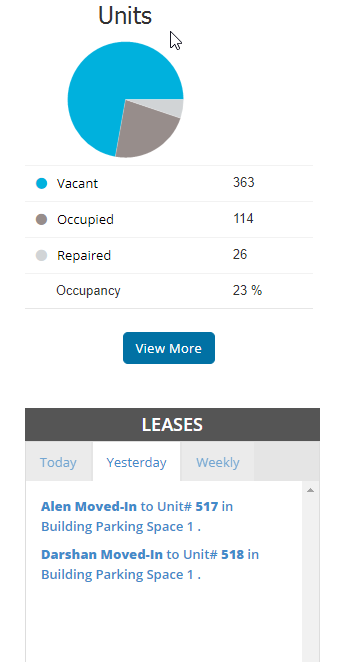 The Pie chart allows you to have a quick view on the number of vacant & occupied units and the table below displays any move-in or move-out that happened Today, Yesterday and in the past 7 days. The payment type holds all data in regards to the payments made based on your Billing cycle. 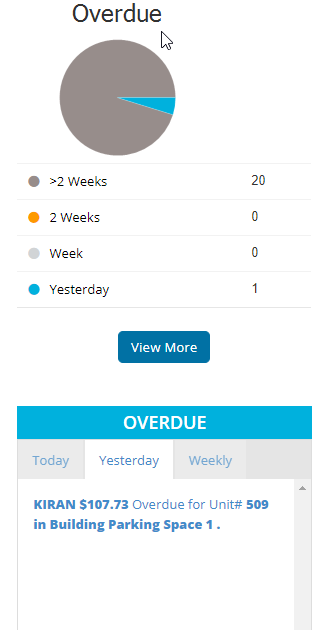 The Pie chart allows you to have a quick view on the number of Payments you have based on the Invoice period and the table below displays info on any Payments that happened Today, Yesterday and in the past 7 days. 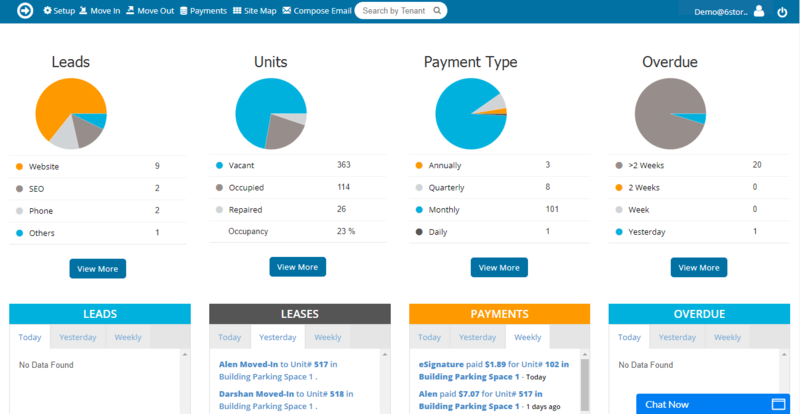 The overdue contains info on all your overdue tenants based on the Period of due. The Pie chart allows you to have a quick view on the number of Overdue tenants you may have and the table below displays any Tenant that are Due Today, Yesterday and in the past 7 days. And just so you know, all the Icons and the displayed info in the dashboard are hyperlinks hence clicking on any of them shall take you to a page that describes in detail about the selection made. Finally you can access the Dashboard from any part of the tool by simply choosing "Dashboard" from the Left menu panel.